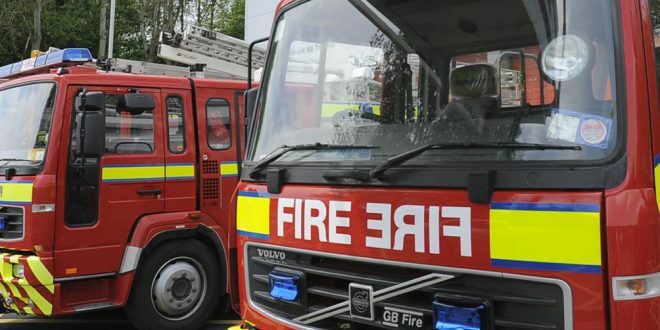 A bus carrying students from Ennis to Cork burst into flames as it was driven through the town of Buttevant on Monday. The dramatic scenes were captured by eyewitness John Sweeney from Clare who was a passenger in a passing vehicle. He told The Clare Champion, “There was a lot of smoke, there were no flames but there was a smell of burning rubber. It looked like all the kids were off the bus and everyone was ok.” @clarechampion pic.twitter.com/bZvRAu5Gn6 — John Sweeney (@sundaycottage) April 25, 2016 It is understood that the driver of the bus has been taken to hospital for treatment, and all of the students are reported as safe and well. Firefighters from Mallow and Charleville arrived at the scene to fight the blaze and the road was closed for a time.